Stetzer, during his time at Lifeway, chose to sell fake the Heaven Tourism book, The Boy Who Came Back From Heaven, even though he was personally told it was false(when the news story broke worldwide, Stetzer lied, claiming he didn’t know). Stetzer, during his time at Lifeway, marketed books from the dregs of charismaticism, the gutter of theology and the ghetto of evangelical culture. It is hard to find a word-faith prophetess or fallen pastor that Stetzer has not taken a smiley selfie, followed up with articles and interviews lauding the false teachers and pimping their material. 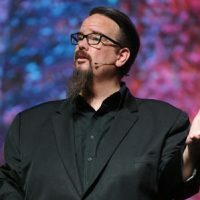 In spite of being consistently wrong, finding himself to have outlasted many of the movements he’s supported, Stetzer is still a regular evangelical talking head on topics he’s woefully unqualified to speak about, waxing poetic on the problems of evangelicalism and offering solutions to fix them.